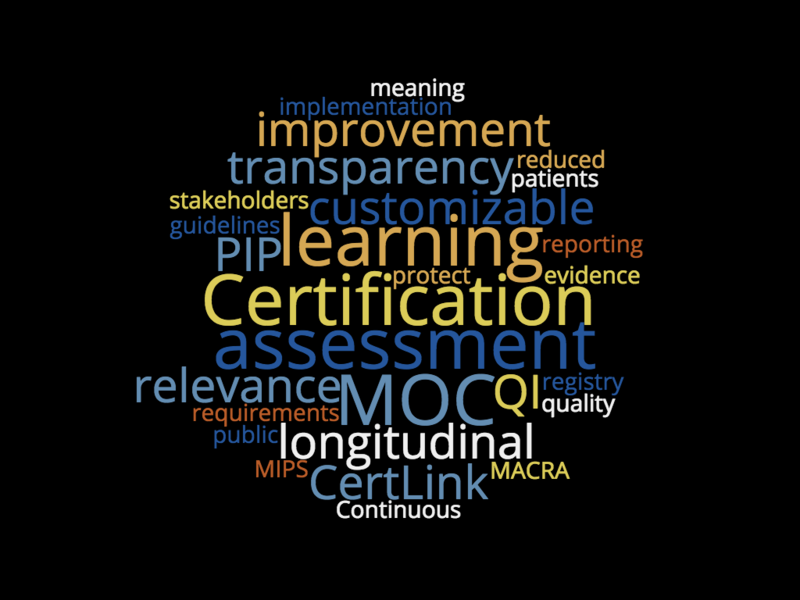 ABPMR CertLink Pilot Participants have spoken: Overwhelmingly, they say longitudinal assessment is a valuable learning tool, helping them identify knowledge gaps and adding value to their board certification.. Read the story for the full results. 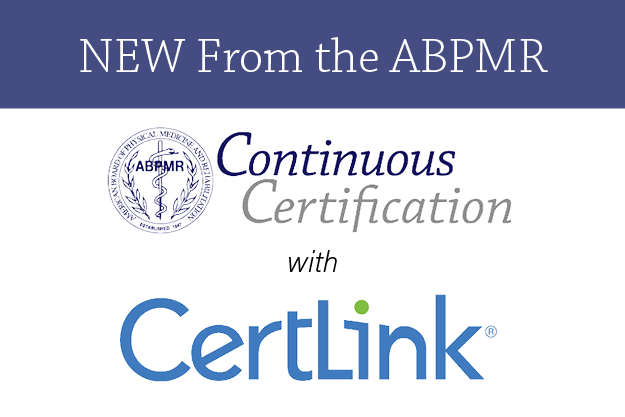 Want to know more about last week’s announcement from ABPMR regarding CertLink and Continuous Certification? Here’s a little background information for diplomates from ABPMR Board Chair Anthony Chiodo, MD, and ABPMR Executive Director Carolyn Kinney, MD. Today we're announcing an acceleration of the CertLink pilot timeline as part of a transition to Continuous Certification. Read more about what we envision, with more details to be released after the pilot concludes in the Spring of 2019. 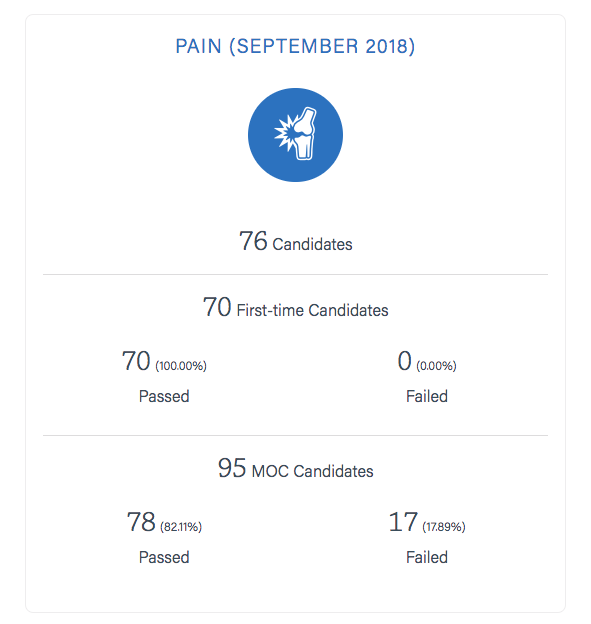 On September 15, 2018, the ABPMR Pain Medicine Examination was administered for both initial certification and maintenance of certification by the American Board of Anesthesiology. Click here to read the names of the new diplomates in Pain Medicine. Recently, the Antitrust Division of the United States Department of Justice was written in response to a request for input on state legislation in Maryland that would restrict the use of Maintenance of Certification (MOC) as a quality metric by hospitals and health plans. Read more about the letter, the ABPMR's view, and the response from the American Board of Medical Specialties (ABMS).